Dr. Corenman’s website NECKANDBACK.COM and back pain forum ASKSPINEDOC.COM have been redesigned to improve patient access to educational information on the causes and treatments of neck and back pain. This website has been redesigned to help patients gain a better understanding of the anatomy of the spine, causes of neck and back pain, and conditions and treatments available today. Dr. Corenman has authored two books, “Everything You Wanted To Know About the Back” for consumers and “The Clinician’s Guidebook to Lumbar Spine Disorders: Diagnosis & Treatment” for medical professionals. Through these books and the website, patients and medical professionals can increase their knowledge of the spine to understand what can go wrong and what the treatment options are. The website begins with the anatomy of the spine and physiology (how the spine functions and why it works that way). Then, the spine pathology (what can go wrong and why it does) is discussed. The website progresses to how to diagnose the causes of back pain (the pain generator or generators) and concludes with what can be done about it (treatment for neck and back pain). Treatment options discussed on the website are both non-surgical and surgical. A patient’s history, symptoms and activity level will help determine the right course of action. Patients seeking an accurate diagnosis and treatment must visit a qualified professional in person. Neck and back pain can be extremely debilitating and diminish quality of life, Dr. Corenman and his team are dedicated to providing excellent care to all patients suffering from neck and back pain. For patients seeking a diagnosis or second opinion, Dr. Corenman offers film reviews and consultations. Colorado spine surgeon, Dr. Donald Corenman is among few spine surgeons who are also a chiropractic doctor. 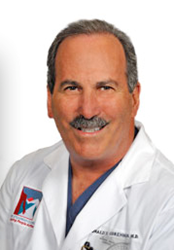 Dr. Corenman has been practicing at The Steadman Clinic in Vail, Colorado for the past 20 years. He has conducted research on the spine for both surgery and rehabilitation and has published multiple books, many papers and lectured to his peers from Hong Kong to Paris.